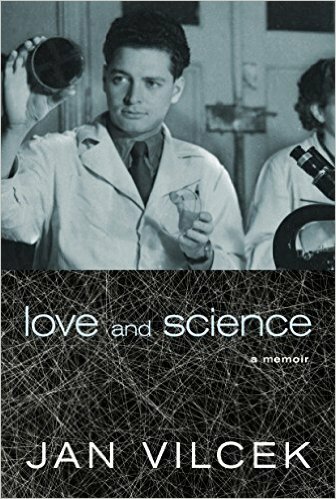 In his memoir Dr. Jan Vilcek tells two intertwined stories—one personal, the other scientific. As a child Vilcek survives World War II in Nazi-occupied Czechoslovakia, grows up under Communist rule, then thrives as an immigrant scientist in America, and contributes to the development of a blockbuster drug that helps millions of patients with autoimmune disorders. In the process he acquires material wealth that he never aspired to, catapulting him into a new world of philanthropy and art collecting. Copyright © 2019 Jan Vilcek. All Rights Reserved. Jan T. Vilcek, Professor in the Department of Microbiology at NYU Langone Medical Center, earned his MD and PhD degrees in his native town of Bratislava, Slovakia (then Czechoslovakia). He is among the earliest researchers of interferon, and of another regulatory protein called tumor necrosis factor (TNF). Dr. Vilcek’s work was instrumental in the development of the anti-inflammatory drug infliximab (Remicade®), the first member of a new class therapeutics called TNF inhibitors that are now widely used for the treatment of Crohn’s disease, ulcerative colitis, rheumatoid arthritis, psoriasis and other chronic inflammatory disorders. Dr. Vilcek has published more than 350 papers in scholarly journals and he is co-inventor of 46 U.S. patents. 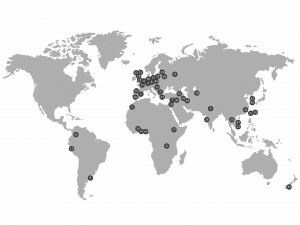 In 2000 Dr. Vilcek and his wife established The Vilcek Foundation, whose main mission is to recognize and honor outstanding contributions of immigrants to the sciences, arts and humanities in the United States. He received NYU’s Albert Gallatin Medal, is an honorary alumnus of NYU School of Medicine, and Fellow of the American Association for the Advancement of Science. He received the J. E. Purkynie Honorary Medal from the Czech Academy of Sciences, and the Outstanding American by Choice Award from the U.S. Citizenship and Immigration Services. 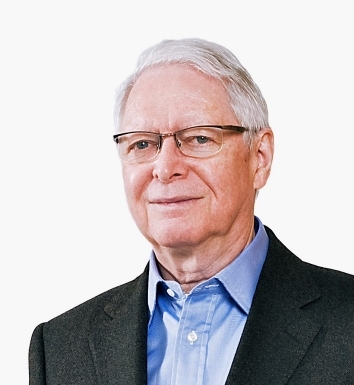 He is an honorary member of the Learned Society of the Czech Republic, recipient of the Gold Medal of Charles University in Prague, and recipient of honorary degrees from the Comenius University in Bratislava, the CUNY Graduate Center in New York City and from NYU. In 2013 he received the National Medal of Technology and Innovation from President Barack Obama. I completed the first two grades of elementary school in a public boys’ school located near our family home on Grösslingova Street. In a group photo from the first grade I can still identify two Jewish boys among my thirty-nine classmates. By the time I was ready to advance to the third grade in the fall of 1941, my parents knew that I would no longer be allowed to continue attending a regular public school. They could have enrolled me in a specially designated school for Jewish children, but my parents decided not to do that. To protect me from the possibility that I would be sent with them to a concentration camp, my parents chose an unconventional path: they placed me in an orphanage with an affiliated school run by Catholic nuns. The nuns belonged to the Daughters of Charity of St. Vincent de Paul. Recognizable by their huge triangular starched white hats, the St. Vincent’s Sisters were known for devoting their lives to the education of needy children. The orphanage and school occupied an imposing Victorian building on Hlboká Street, to this day a prominent and well-known structure in Bratislava. Even though I was by then officially a christened Catholic, accepting me was almost certainly illegal at the time and it was brave of the St. Vincent’s Sisters to do it. 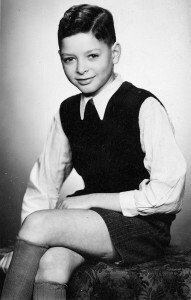 I entered the school with another Jewish boy of the same age, my close friend and classmate from the first and second grades, Jan Deutsch." At age eleven, I viewed the German soldiers with an equal measure of dread and fascination. My mother instructed me never to reveal that I could speak German—one of the three languages I knew by the age of four—in front of the soldiers. Then one day a group of three German soldiers came into the house to seek respite from the cold weather and to rest up. They sat down in the kitchen, the only warm room in the house, heated by a wood-burning kitchen stove. Tomáš and Mária, their two small children, my mother, and I were also in the kitchen, mostly silent. One of the German soldiers, I think a noncommissioned officer, finished smoking and was looking for a place to extinguish his cigarette. “Da unten” (“here down below”), I said, pointing to the grates at the bottom of the burning kitchen stove. Then I froze in panic. “Ah, you speak German?” the soldier inquired. “Learn German in school,” my mother tried to explain, pretending to know only a few words of German. I remember the surprised expression on the German’s face. The air was thick with tension. Then the soldiers departed without an incident. There were numerous other difficult moments. One day we saw armed German soldiers marching a family, two or three adults and a couple of kids, almost certainly Jewish, up the highway in front of our windows. We didn’t know who they were or how they were found out. Later we learned that the whole family was shot dead in the neighboring village. 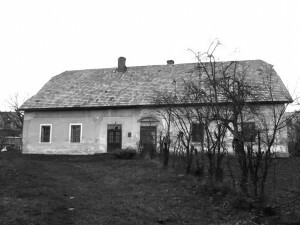 Another day, two partisans entered the village while several German soldiers were visiting the local pub only two hundred feet from the Javorčeks’ home. Local residents warned the partisans about the presence of the German soldiers, but instead of retreating, the partisans decided to use the situation as an opportunity to inflict casualties on the Germans. We watched from the window of our house as they positioned themselves behind a fence, their Russian-made automatic rifles aimed at the entrance of the pub. As the German soldiers exited the pub, the partisans opened fire. They missed, enabling the Germans to rapidly retreat back into the pub. The two partisans, young and apparently inexperienced in matters of warfare, continued waiting in their hideout. Within minutes, German reinforcements arrived in two armored vehicles, shooting and killing the two partisans—all of this in our plain view. The dead bodies of the partisans were left lying in a ditch for the rest of the day, as people were afraid to come out and move them." The opportunity [to defect from Communist Czechoslovakia] did arise when in September 1964 the authorities unexpectedly granted us permission to pay a weekend visit to our friends Hans and Edda Moritsch in Vienna. Marica, perhaps feeling guilty about abandoning her widowed elderly father and much younger brother, started having second thoughts. But this time I was firm. I reminded her about the many discussions we had in which she would tell me how much she longed to get out of Czechoslovakia. “You were always convincing me that we should leave if the opportunity arises, and now we have a realistic chance,” I said. As the invitation from the Moritsches was for a weekend stay in mid-October, the departure date was set for Saturday, October 10. An important decision to make was whether to tell our parents about the plans. Even though my parents often commented that we would be better off in the West, we had never before been in a situation to actually do something about it. I decided that I would let my parents in on the secret, and Marica agreed. We debated whether we should tell Marica’s father, but in the end we decided against it. One reason was that we lived in his house and undoubtedly Marica’s father would be the first to be questioned by the ŠtB when we had not returned by October 12, our scheduled date to be back home. It would be in his interest to be able to tell the secret police truthfully that he knew absolutely nothing about our plans to defect. Another reason was that Marica’s father was emotionally more fragile than my parents, and we could not predict what his reaction would be if we told him that we were leaving for good. It was not difficult to imagine how hard this was for them. They—and we—had no idea how long it would be before we saw one another again, and there was the possibility we would not see each other again in our lifetimes. Other than my parents we told no one. We did not worry much about the possessions we would be leaving behind. Marica and I did not own a great deal. We lived in the house that belonged to Marica’s father. Most of the furnishings we had in the three small rooms we occupied were hand-me-downs from my parents and Marica’s father. There were a few works of art received as gifts and a nineteenth-century writing desk acquired by Marica from money she put aside from her modest income. As was true of most of our friends, we lived from paycheck to paycheck, we had no personal savings, and, in any case, we were allowed to carry only a minuscule amount of cash to Vienna. Our most valuable material possession was the small Škoda automobile my parents had bought when they sold their parcel of land. We planned to travel to Vienna in our car, so that we could take it with us to Belgium or whatever other country might turn out to become our destination. 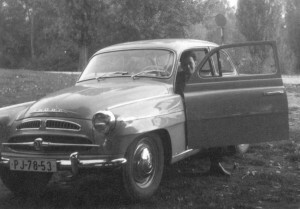 On October 10, 1964, about two weeks after receiving the permission to visit the Moritsches in Vienna, we packed two suitcases into our small Škoda automobile and departed for Austria. The border between Czechoslovakia and Austria was part of the Iron Curtain—equipped with watchtowers, minefields, and electrified wire fences—separating Communist countries from the free world. Even before reaching the border, only a few miles removed from the center of Bratislava, we had to pass through a checkpoint manned by armed guards. At the border crossing we waited in trepidation as the Czechoslovakian border guards examined our papers, hesitating for the longest minutes of our lives before they let us pass to the other side. Would they become suspicious because we were carrying heavy winter coats for our three-day visit to Vienna in early October? Would they search the contents of our two bags and find that we had packed more than three shirts and three sets of underwear? The guards opened the car trunk to make sure we were not smuggling someone out of Czechoslovakia. They inspected the underside of our car. But they ignored the winter coats and they were not interested in how many shirts or pieces of underwear we were carrying. Once on the right side of the border, the free Austrian side, we were elated. On a deserted two-lane highway about a half-mile from the border crossing, safely out of the reach of the Czech guards, Marica and I stepped out of the car and embraced. “We made it,” I said, my voice trembling. She nodded, wordless, her eyes glistening with emotion. Now we could begin to shed the fears not only of the last two weeks, but also of the years before. Vienna was forty miles ahead of us. We could not begin to guess what lay beyond. We got back into the car and drove on." Before establishing the foundation, Marica and I had separate jobs. On weekdays we parted in the morning and met again for dinner. Of course, we exchanged impressions from our jobs, but our professional responsibilities had not overlapped. The situation has changed since we established our foundation. Suddenly our professional responsibilities do overlap. Most of the time, when approaching a problem, we see eye to eye. But inevitably there were times when our views differed. There is of course nothing wrong with that, differences in opinion occur in groups of professional people all the time. Arguments can fly back and forth, and eventually people either agree on a common solution or, if not, then the boss makes a final decision on how things should be handled. Except that for the boss to make an executive decision is not so simple if the dissenting person happens to be his wife . . .